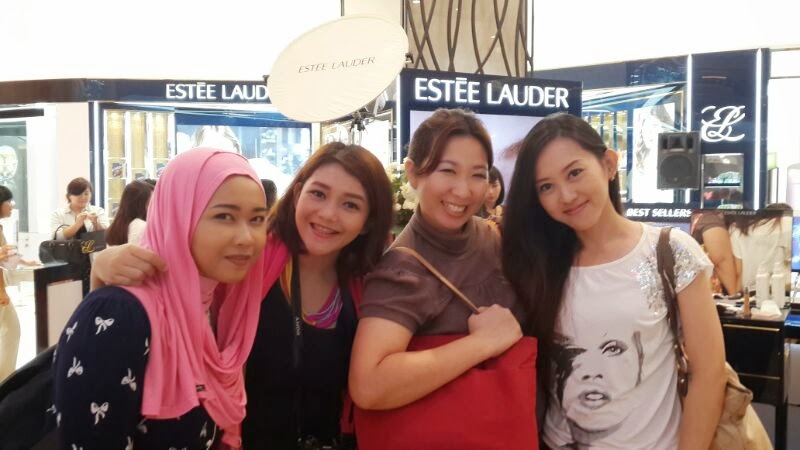 Last February 15th I was invited to Estée Lauder's new concept counter launching at Lotte Shopping Avenue Jakarta. For your info, I didn't live in Jakarta, I live in Cilegon, which is about 100km away from Jakarta. The event was held at 2pm sharp. So my sister and I leave the house around 9am to get there on time. Did I drive to Jakarta? A lot sample of products missing because there was semifinalists of face chart competition did their make up. Mr Erfan explained that this foundation will not transfer once it applied on your skin, that's what 'Stay-in-Place' mean. Also, it claim will stay on your face up to 15 hours. Estée Lauder skin care booth. Their individual eyeshadow, Pure Color Eyeshadow. Estée Lauder Re-Nutriv skin care collection. At Lotte Shopping Avenue counter, they have a lounge that was made resemble to Mrs Estée Lauder's room. This lounge was made for costumer comfort. One of their new concept. 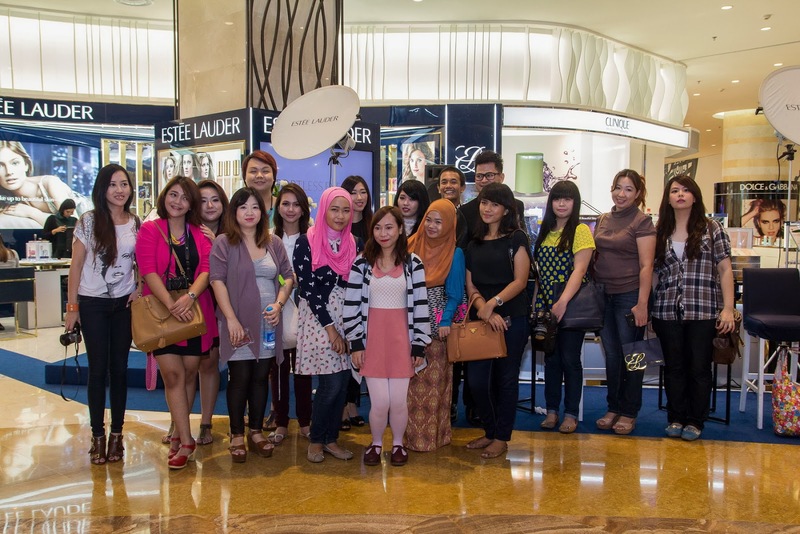 Ms Wulan also explained that the new concept of the Estée Lauder counter at Lotte Shopping Avenue was services. 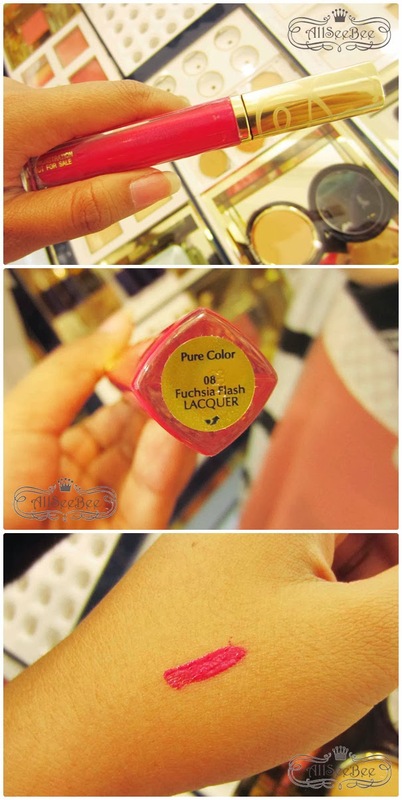 Unlike when you're shopping at department store or duty-free store, most likely you will only buy the products, here at Lotte Shopping Avenue counter, you will get good services from the Beauty Advisor such as explanation about the products until finding your perfect shade of makeup. It's all about good services. Their Special gift set that you will get for shopping certain amount. This special gift will be different every month. This device will analyze your skin color to get the perfect shade of foundation or face powder from Estée Lauder. 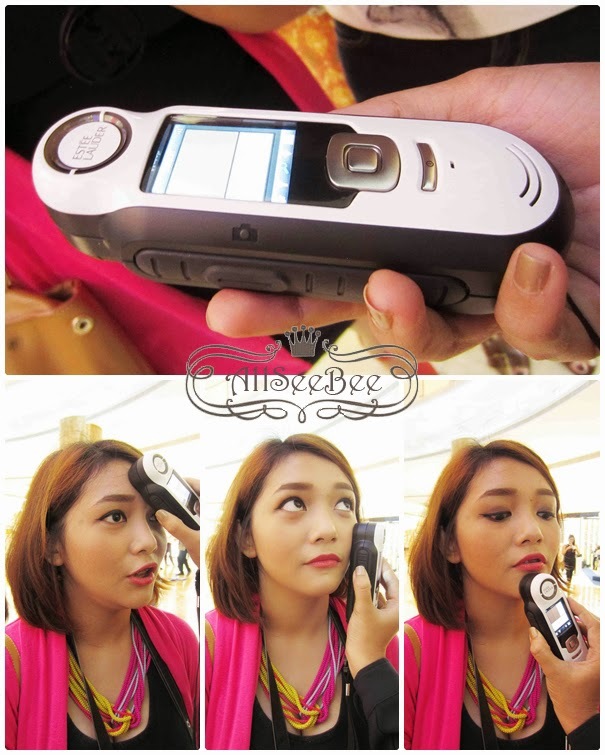 To get know your shade, this device have to be placed on three points of your face, which are forehead, cheek and chin. 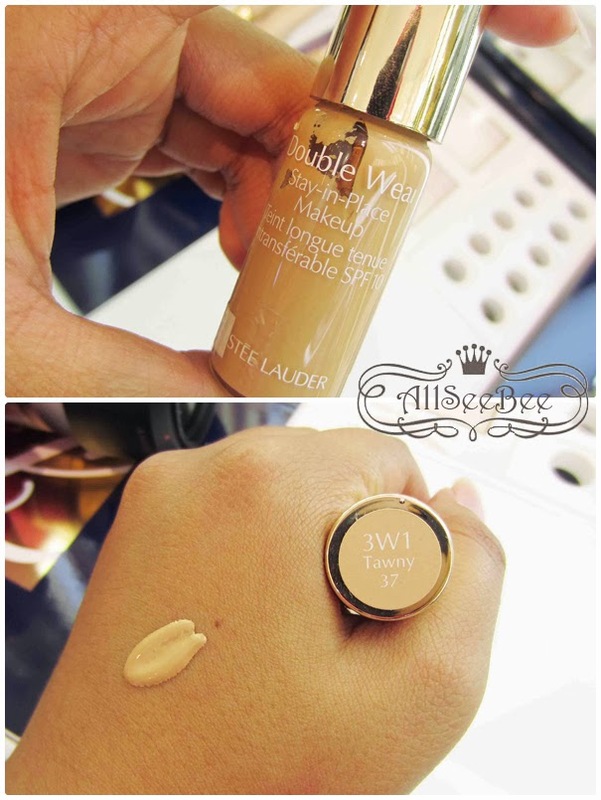 From the iMatch Shade Finder, my shade for Double Wear Foundation is Tawny (3W1). At The Event, Mr Efan introduced us to their Beauty Advisors's new outfit. Their new outfit was dominated by Estée Lauder's signature color, navy blue and detailed with golden buttons. Very chic and professional looking. 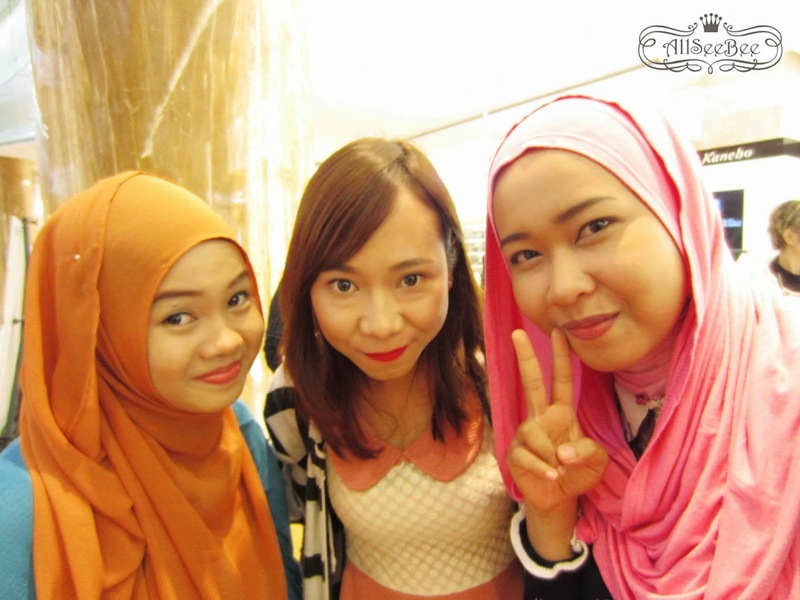 There was semifinalist of face chart competition doing the make up on their models. These are the second session that day. I actually join the face chart competition, but sadly I didn't get to be one of the semifinalist. Thank you Estée Lauder Indonesia for the invitation. 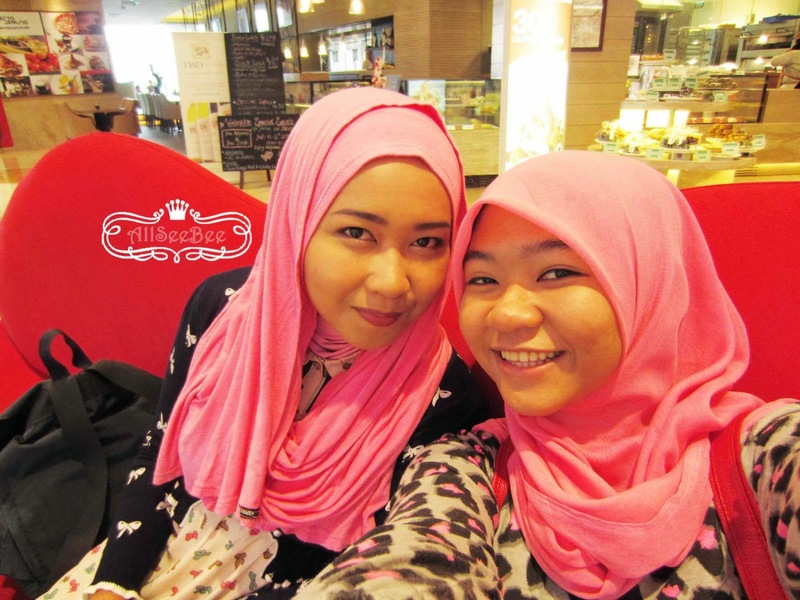 Muahahahaha, my face look so big in this photo.. Ya alloh dhil.. tapi kalo diitung2 cilegone nggak jauh2 amat ya dhil.. senang nya bisa jalan2 huhuhu.. 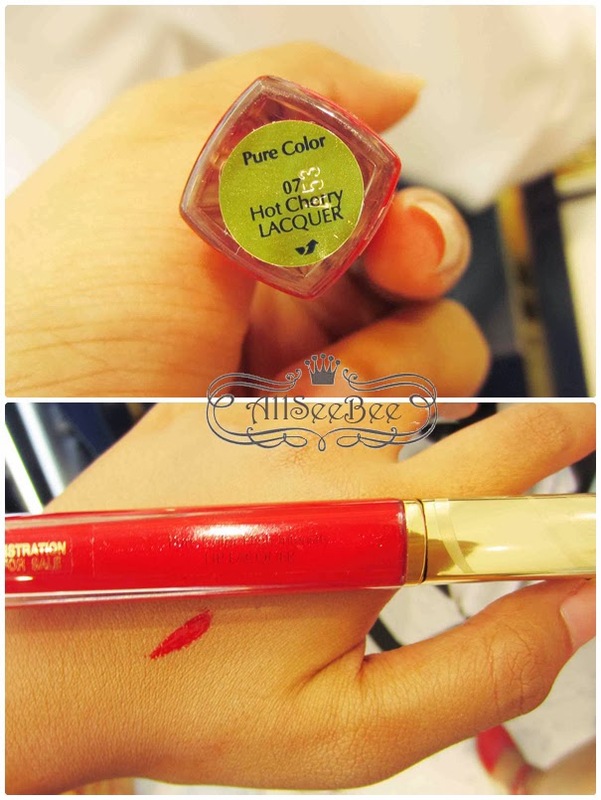 I want the lip lacquer ! Thanks for sharing this dear. The event seems fun.